Back in 2014, Joko Widodo lost the vote-rich prize to his nemesis, the former general Prabowo Subianto by a huge, twenty-point margin. Ever since then, he’s made the homeland of the Sundanese people a key target, lavishing the region with a succession of critical infrastructure projects, from new airports, railway lines, LRTs, dams and highways. 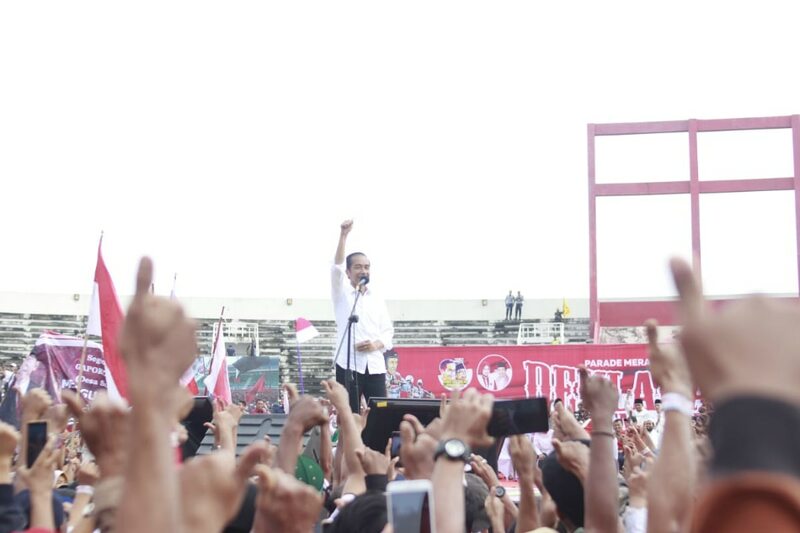 Has the small-town mayor-turned-president, (better known as “Jokowi”), managed to claw back support? Will the selection of an ulama (cleric) Ma’ruf Amin as his running mate address the constant carping over his Islamic credentials? To get a sense of the mood, I’ve been hitting the ground with Team Ceritalah in the West Javanese city of Bekasi, spending time with a thirty-eight-year-old engineer and activist-turned-school teacher, Saputro Dwi. Political allegiances in Pak Dwi’s tiny, sixty-meter square home are complex – indicative, no doubt of the electoral terrain across the province. Both he and his father, Pak Marijo, are diehard Prabowo supporters. His Central Java-born mother is a fan of Jokowi. However, his wife (who we didn’t get to meet), while encouraged by her husband to choose the former general, has remained steadfastly neutral. Now if you ask anyone in Jakarta about Bekasi – the city and district – a stone’s throw to the east of the capital, they’ll tell you it’s a “long” way away from anywhere: hot, boring, possibly just a little dangerous. The “-burbs” (or suburbs) are generally unlovable. People have always disparaged the Croydon’s, Jersey City’s and Cavite’s of the world. Bekasi is no different. It’s a charmless place, but with a combined population of 6.3 million crammed into almost 1,500 square kilometers, it’s Indonesia’s largest urban center that you’ve never heard of. It also represents over 13 percent of West Java’s inhabitants. Indeed, Bekasi is arguably Indonesia’s industrial heartland. There are huge automotive factories (from Toyota, Honda and Wuling), warehouses (including Unilever’s largest Southeast Asian distribution center), shopping malls, apartment blocks, and vast housing tracts. Nonetheless, the area’s agrarian past—hints of what life must have been like before the boom—are never far from the surface. And on the way to Pak Dwi’s modest home in Rawalumbu (literally “Rawa-lembu” or “swamp full of cows”) I find myself catching glimpses of another world – or should I say another era? Amid the grimy and oppressive greyness of urban Indonesia – along narrow lanes crammed with jumbled-up homes and tiny warungs (or stalls), there are boys on bicycles brandishing fishing rods, goats, and fruit trees – tantalizing signs of what must have been. Pak Dwi moved to Bekasi from Jakarta with his parents when he was just boy. Sitting in his tiny home with a group of children playing noisily in the lane outside, he recalls the rice fields and streams that were then interspersed with the housing developments. With an artist’s temperament and growing up in the dying days of Suharto’s “New Order” regime, he became an activist along with thousands of others. His youthful enthusiasm have long since passed. He’s more skeptical of the galloping consumerism that he sees all around him – the world of handphones and gadgets. And whilst he’s an enormous fan of the first President, Sukarno, who he idolizes, he remains unconvinced by the incumbent, Joko Widodo (“Jokowi”). Indeed, Dwi’s father Pak Marijo (who was born in Madiun) has a strong attachment to Prabowo, having worked for almost 30 years in a catering company owned by a relative of the prominent Djojohadikusomo clan. When asked whether he’d been able to follow the campaigning, he shakes his head. He’s been too busy with his own work, though he enjoys watching a political debate show called “Indonesia Lawyer’s Club” chaired by the TV personality Karni Ilyas. 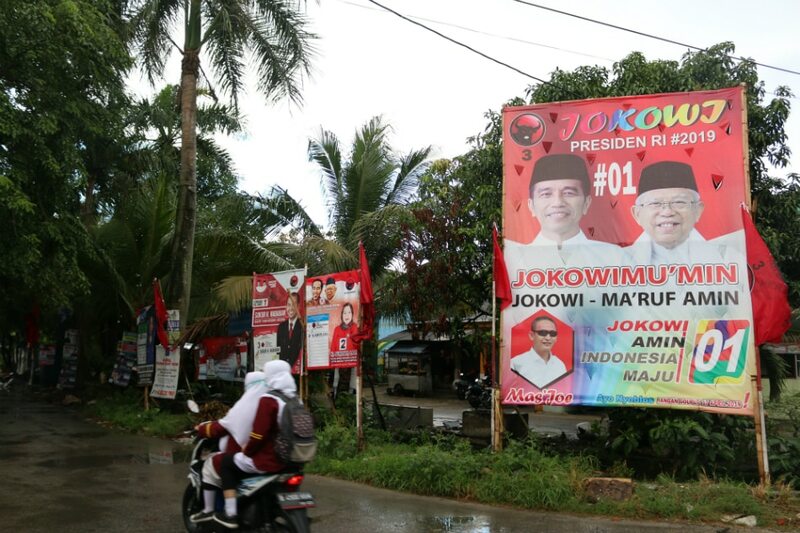 However, Pak Marijo’s wife, Ibu Semini, a sixty-three-year-old Karanganyar-born lady is a resolute Jokowi supporter. Having benefitted from the BPJS (the national health care scheme) and seen the brand new highways, her admiration has only increased. Both Pak Marijo and Ibu Semini however stress that the campaign hasn’t impacted their family life. Pak Marijo lets his wife watch Jokowi’s campaign coverage on TV and vice versa. They also claim that their neighborhood doesn’t seem to have been polarized either and both agreed that they will accept whoever gets elected. It’s reassuring to listen to the family discuss the polls. Their openness contrasts with the shrill and divisive rhetoric on television and social media. Indeed, Pak Marijo notes that Indonesians have a right to vote but must also respect whoever gets elected. They all dislike the hate speech and hoaxes. 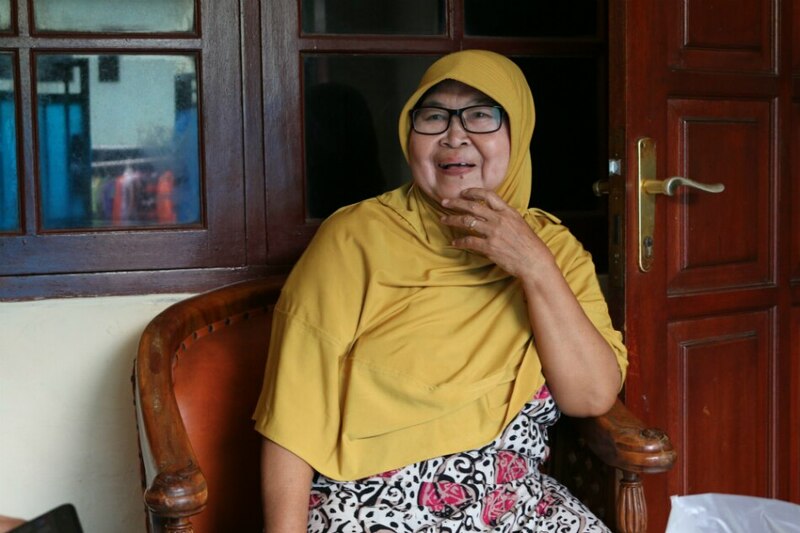 So, while allegiances are divided across the Republic, at least in one small, sixty-meter square home in Bekasi, a family will be getting on with life whoever wins on April 17.